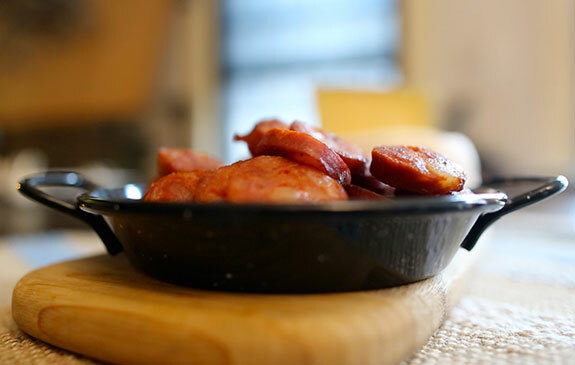 This typical Spanish sausage is often confused with other varieties of “chorizo” from Latin America. 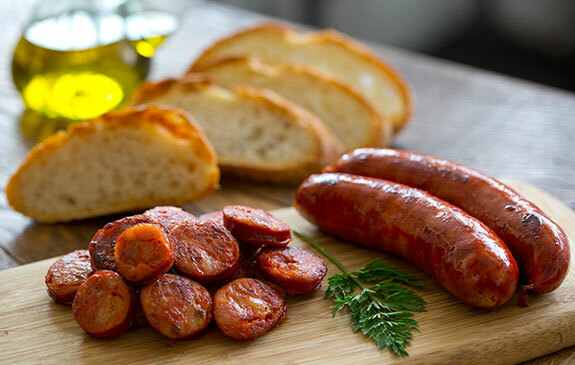 In fact each recipe is unique and once you try Spanish style chorizos you will never forget those bold flavors. 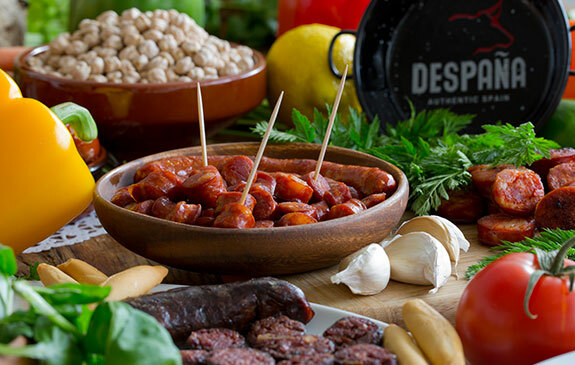 Pork meat mixed with naturally smoked De la Vera paprika (a must), garlic powder and other special ingredients make chorizo a very desirable feast. 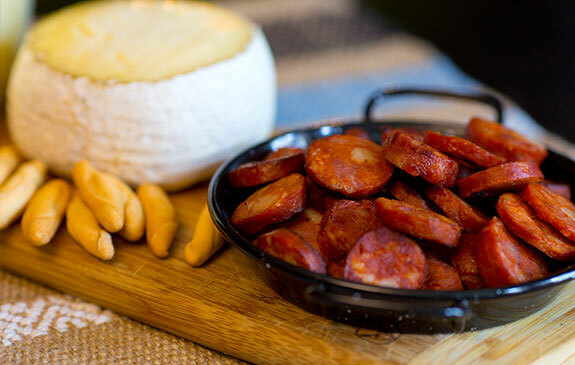 We brought this family recipe from Northern Spain in the early seventies, and ever since then we take pride in preparing every batch of our Despaña chorizo to delight American food lovers. 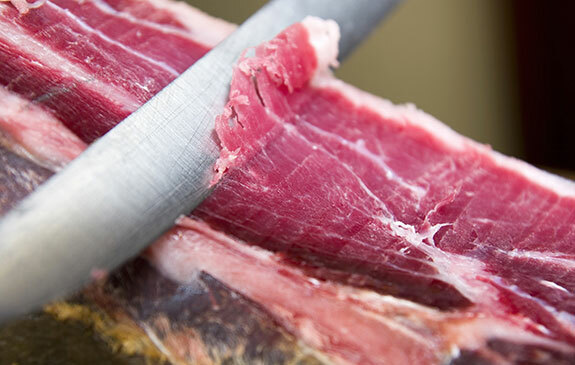 For many years we have been servicing the palates of discerning chefs in the food service industry and today we make our specialty meats available to home cooks, striving to build a bridge between two cultures. 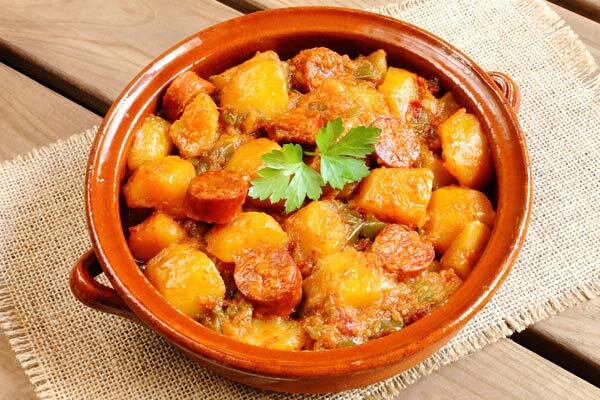 Chorizo is very versatile, you can cook it in stews, rice or pasta; or give a twist to an informal meal by combining our chorizo with vegetables or fish. 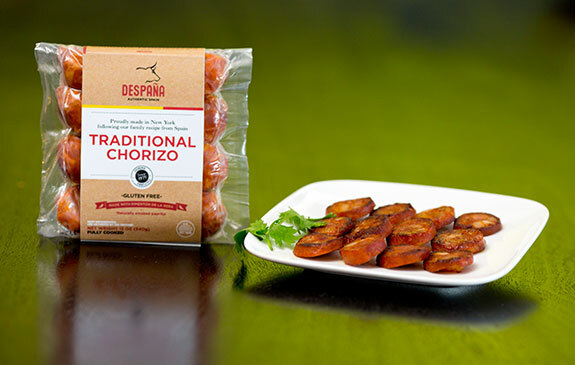 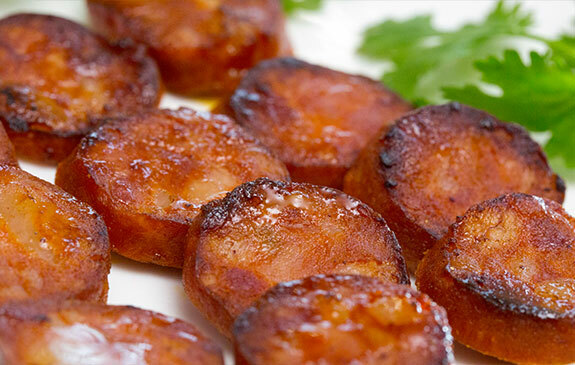 Prepare unique ‘tapas’ with our chorizo and let your imagination guide you. 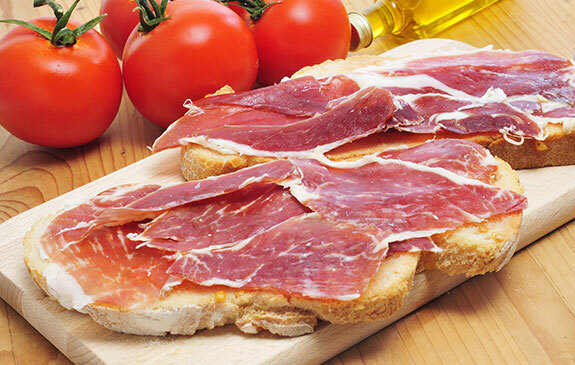 Whichever way you choose it will be a tasty success. 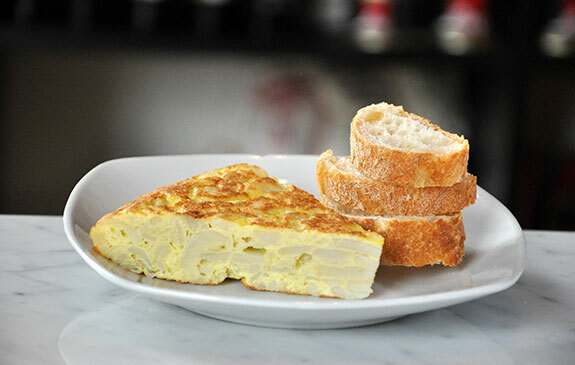 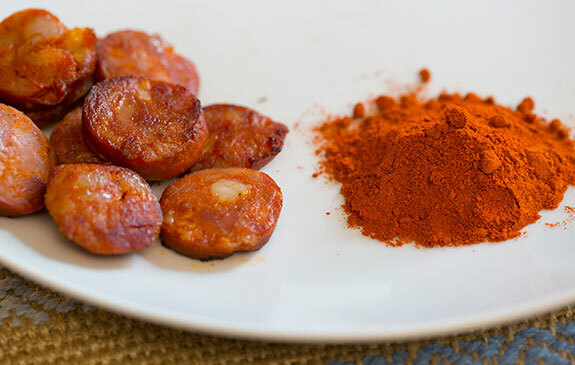 Want to know how to turn chorizo into one of the most popular Spanish servings? 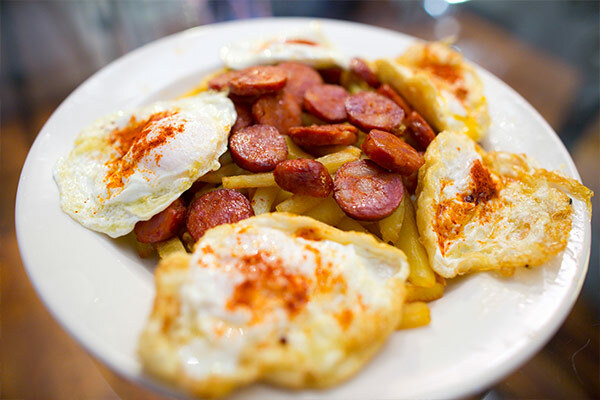 Watch this video and learn how to cook Broken Eggs with Chorizo – “Huevos Rotos” – step by step, a perfect and quick choice when friends or family are coming over to your place. 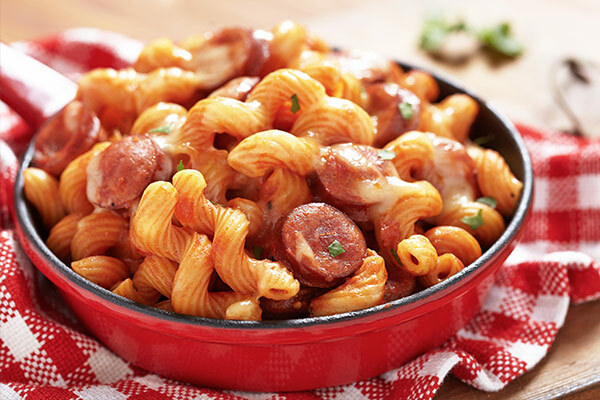 Give a twist to the classical pasta plate adding some delicious chorizo. 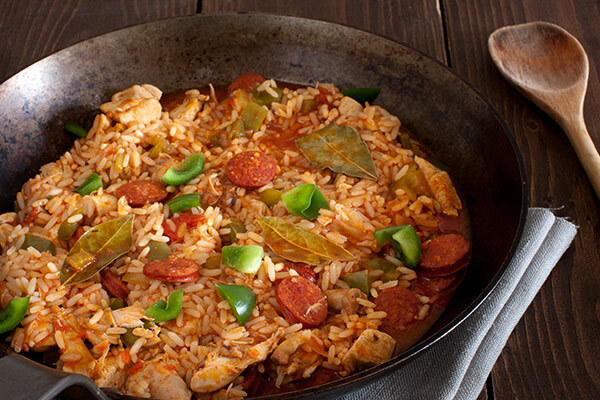 A mixture of rice, vegetables and chorizo make up a tasty meal. 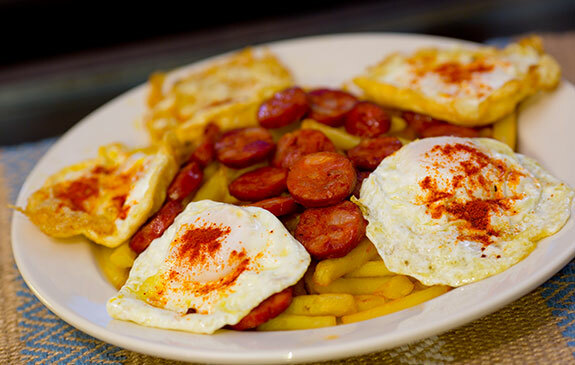 Who doesn’t like eggs and fries? 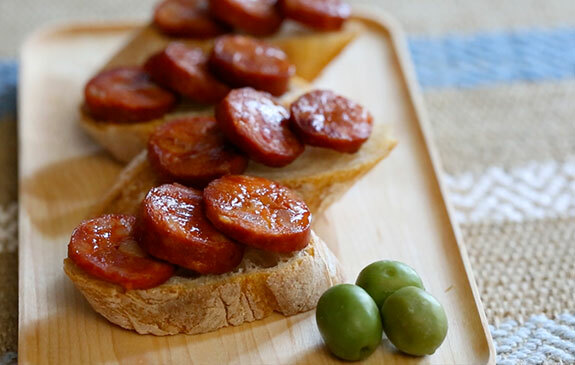 Try to pair them with chorizo. 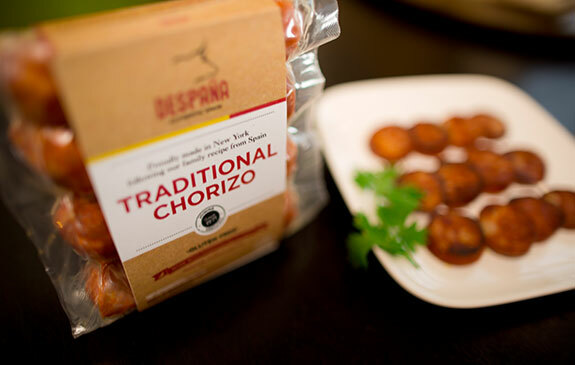 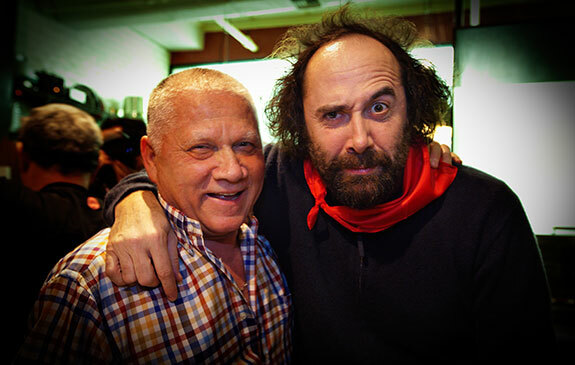 Despaña Brand Foods is a unique company based in New York that has been servicing the food service industry of imported specialties from Spain in the U.S since 1971. 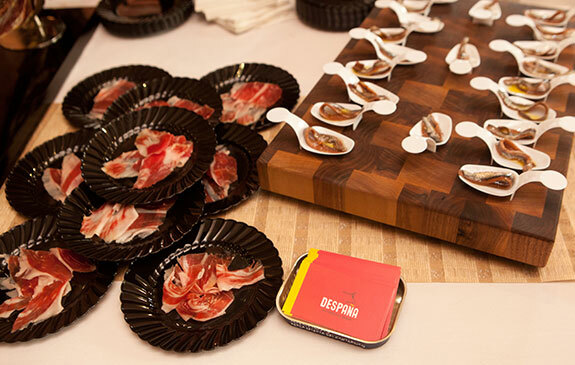 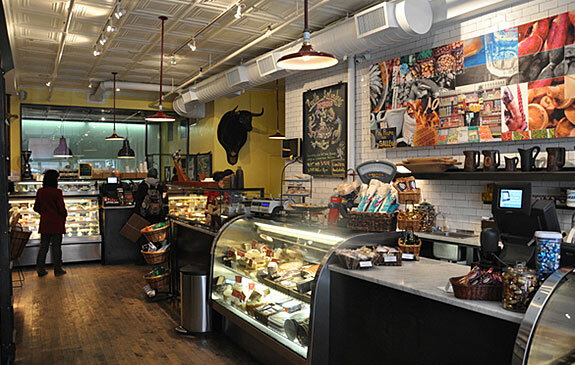 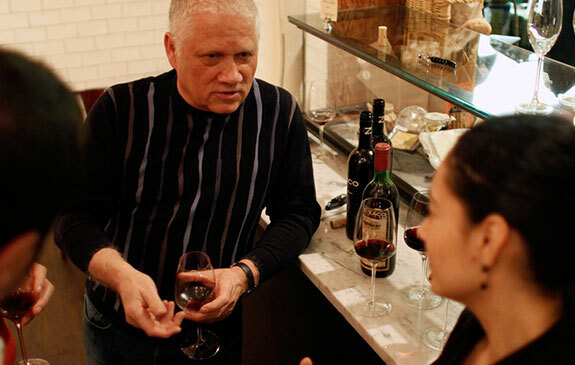 We have established direct relationships with artisan, small to mid-size producers and represent the most select and high end brands to be introduced in the USA. 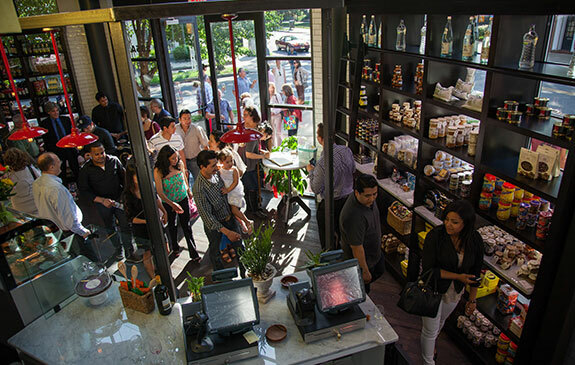 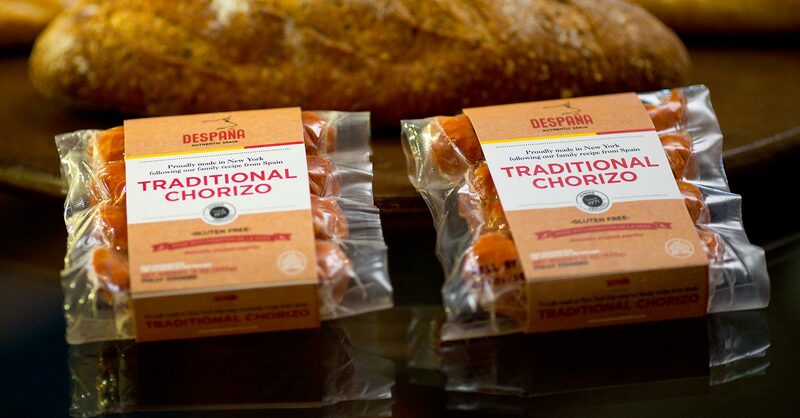 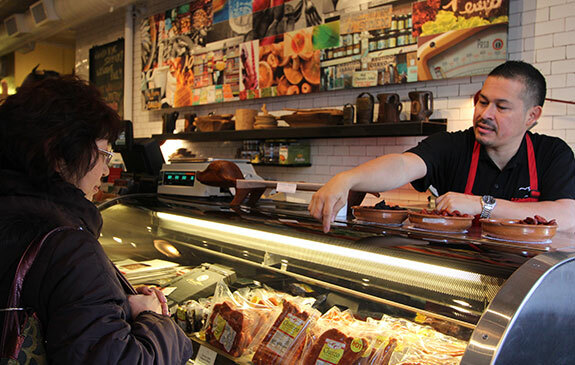 Our business originally started as a chorizo factory on Northern Boulevard, and ever since then we have been growing to provide Americans the best Spanish products for wholesale and retail markets nationwide. 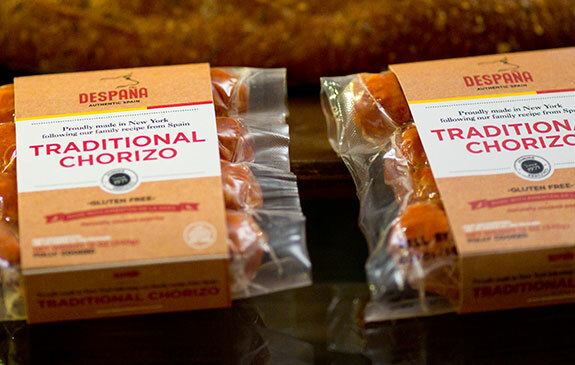 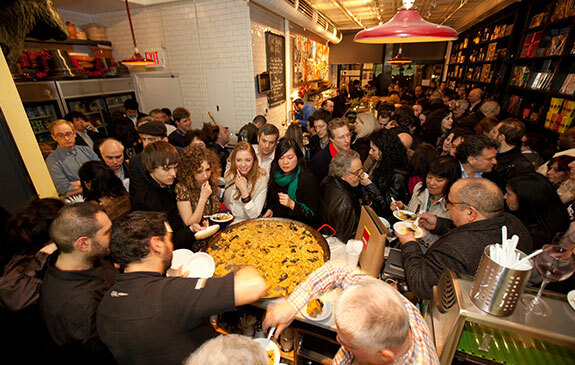 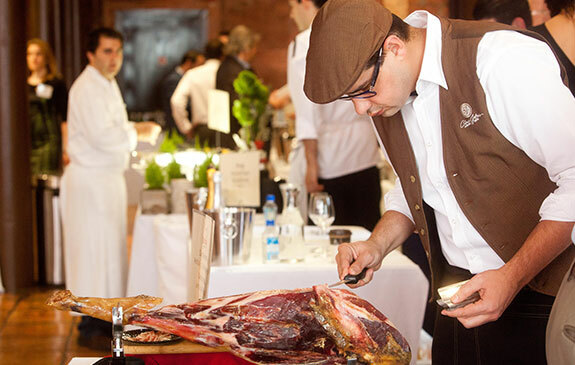 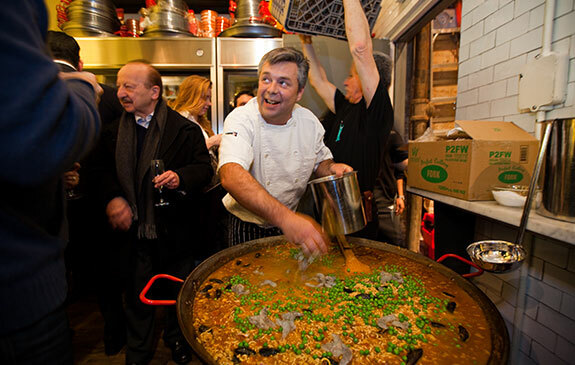 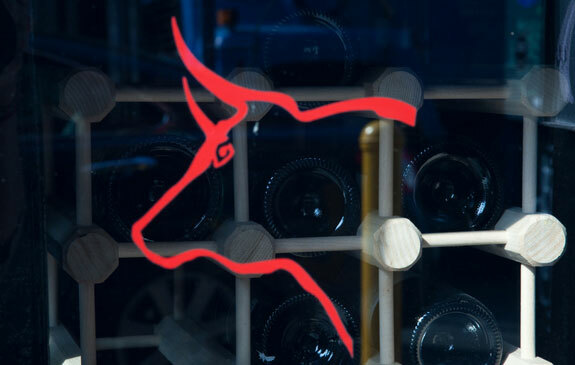 Our products are sold at fine food boutique retailers, and used in recipes at renown restaurants where quality and authentic flavors from Spain are appreciated as an added value.